Sanjak, or Sandzak, is a distinct region located in the centre of the Balkan Peninsula in the border region of present-day Serbia and Montenegro. The population of Sanjak is approximately 400,000, about half of which are Sunni Muslim Bosniacs who speak various forms and dialects of Serbo-Croatian and Bosnian languages. The area they inhabit is one of the most underdeveloped of Former Yugoslavia. Southern Slavs settled on the Balkan Peninsula around the sixth and seventh century anno Domini. Later they were ruled by Byzantium, Hungary and Bulgaria. Under Ottoman rule, Sanjak had an autonomous status in the Bosnian administrative district until it was occupied by the Austrian army in 1878. In the 20th century, when Sanjak became part of Yugoslavia, the region’s Muslim inhabitants were not recognised, persecuted and discriminated against. After the collapse of the Soviet Union, the MNCS was formed to channel the population’s desire for autonomy. 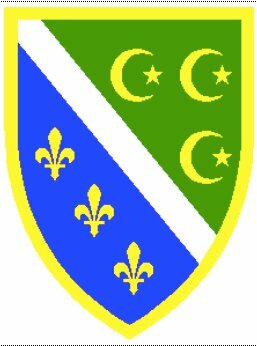 It was later renamed as the Bosnian National Council of Sanjak (BNCS). MNCS joined UNPO with the expressed goal of obtaining special status for Sanjak, preserving the national identity and safeguarding the individual and collective rights of the Muslim populations and others who reside in the territory. The situation of the people of Sanjak deteriorated significantly during the Balkan wars from 1991 to 2001, in the course of which hundreds of thousands of people were displaced or killed. During its UNPO membership, BNCS thus advocated for a resolution to the conflict and the alleviation of the suffering of the region’s population. Sanjak: Together We Are Stronger!